Now what was that feeling? Oh yeah, sheer disappointment with a tinge of boredom. 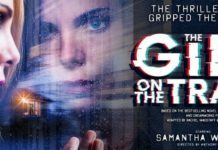 This theatre adaptation of the well-known 80s classic should have hit the spot but unfortunately it failed miserably. Juggling two jobs as a welder and club dancer, Alex (Joanne Clifton) is encouraged to pursue her supposed dream of becoming a professional dancer and auditions for a place at a prestigious dance school. 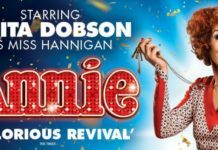 Lacking all of the passion, dedication, and indeed likability of the screen portrayal of Alex, Joanne Clifton’s portrayal of Alex is a little brash and full of herself. Pursued by Nick Hurley (Ben Adams), Alex’s employer at the welding factory, the two begin a relationship (cue cringe worthy full on kissing). He uses his status to see she secures an audition at the dance school. Of course, Alex finds out and is unhappy as she wanted to make it on her own merit. With Adams and Clifton lacking any chemistry and looking completely awkward together this is worsened by their full-on displays of affection as if put in, as a desperate attempt to convince us they like one another. With various other storylines relating to workers at the club or welding factory and Alex’s elderly friend Hannah (Carol Ball) who trained her to dance, I would like to say that they added interest. In actual fact they dragged out a story that was already struggling to capture interest. A series of awkward changes and transitions meant the pace was lost and so was the attention of much of the audience who felt the pull of their phone screens too strongly. Vocal ability ranging from poor to mediocre didn’t quite write this show off but I would say the poor articulation (where I spent far too much time trying to figure out why somebody would need to ‘take a lip’ or wondered why a song had been sung about dust… dust is what?) did. In addition, it was so loud (and so bright in parts) making me jump several times and leaving my heart racing. 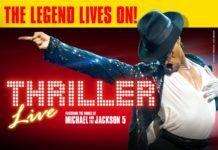 Should you feel scared and anxious due to the sheer volume of the theatre? It wasn’t all bad, an OK job was made of the infamous chair scene as well as the audition scene to the track ‘What A Feeling’. It’s just that, that came right at the end and by then I was ready to get out of there in a flash! *note it turned out that ‘Take A Lip’ was ‘Take A Leap’ and ‘Dust Is’ was ‘Justice’. Tickets cost from £20.40 to £63.90 (plus £2.85 transaction fee). 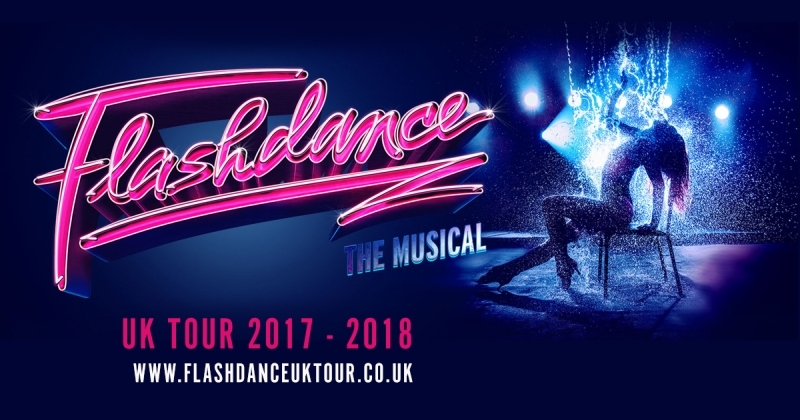 Flashdance is at the New Alexandra Theatre in Birmingham from 5-9 December 2017, for more information or to book tickets visit www.atgtickets.com/birmingham or call the box office on 0844 871 3011.